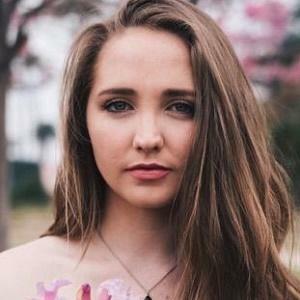 Fashion and lifestyle web star known for her channel Kenzie Elizabeth on YouTube. Her videos include challenges, tags, DIYs, GRWMs, vlogs and more and have helped her earn upwards of 350,000 subscribers. She always had a love for fashion and spent most of her childhood playing dress up with her cousin. She has a second channel called KeepingUp WithKenzie that acts as a weekly vlog channel. She was born in St. Louis, Missouri, and her mother's name is Melissa. She graduated high school early to move to Los Angeles at the age of 17. She had posted so many photos of her dog Coconut on Instagram that she decided to create an Instagram solely for Coconut. She's posted vlogs with Keaton Milburn on her YouTube channel.